This deck is a carry over of Mono Green aggro from last rotation to Golgari Aggro the start of this current standard. 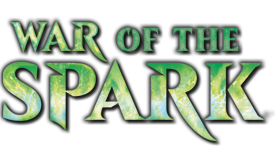 Everyone knew with access to Stomping grounds that this deck could change shape and with Rhythm of the wilds and Gruul Spellbreaker among others, it has in a big way! 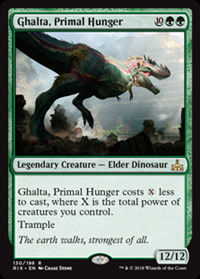 3 Ghalta, Primal Hunger - imagine the Haste! 1 Gruul Guildgate - should this be a forest or mountain or 3rd Territory? 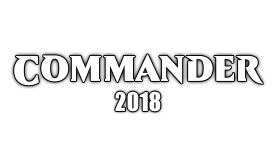 2 Unclaimed Territory - naming Warrior for: spellbreaker, harpooner, thorn lieutenant or Growth-Chamber Guardian early or Shaman later. Can also name elf for Llanowar T1 if needed. 4 Nullhide Ferox - punish grixis/discard decks, take out spells from main, Vivien/thrash? 2 Pause for Reflection - other midrange, mirror, stalemate, they finally swing out, fog, crack back. The heart of the deck is Rhythm of the Wilds; stackable Riot triggers enabling haste and ignoring counter spells. Maybe at some time 3 would be the correct number but for right now 4. Casting hasty 12/12 Ghaltas or Kraul Harpooners with their undergrowth trigger enabled is nuts! 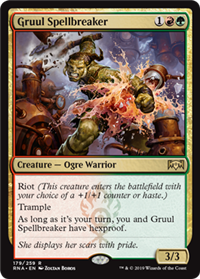 - Gruul Spellbreaker is up next as he is the creature who disables settle the wreckage and cant be hit by instant speed removal. - Thrash//threat is a fine instant speed removal spell as long as you have a creature in play ESPECIALLY since it can hit planeswalkers!!!!! if you dont have a creature then create one as a 4/4 trampler. 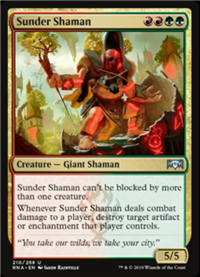 - Sunder Shaman is a concession to no longer wanting Nullhide Ferox due to all the non creature spells and not liking the lack of toughness in Vine Mare. Also because there is no room for Thrashing Brontodon so it is nice to have a card that can deal with enchantments and artifacts main. Perhaps a later version will not play Ghalta but she is still my pet card, I love playing 12/12s for 4-2 mana and now that she cant be countered and has haste, FORGET about it! I dont know if Vivien is the best card but she is card# 31-33 out of 37, but if not her then what? - Unclaimed Territory is a test to try to increase the odds of having T3 red for spellbreaker (maybe T2) or T3/4 x2 red for Shaman while not sacrificing the green needed to cast other green creatures. I think they are replacing forest #8 and Mtn #6. Calling "warrior" on territory can cast Spellbreaker, Thorn Lieutenant & Kruul Harpooner. I'll be adding more to the Primer later. I know this deck is centered more around aggro, but I think Regrisaur Alpha Is still necessary because it's so good. I noticed the elfCrab was a WARRIOR and auto included it. thanks! What would you take out? I've been jamming this. Deck is aggressive and great. what platform are you running this in? Arena. 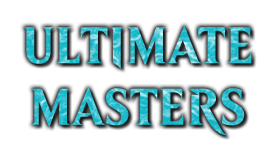 MTGO, XMage? Yea, Phoenixes and Tyrant are all still good! You like shivan Fire better than Lava Coil? No Rhythm of the Wilds? I've been playing around with that on arena, been pretty good. Honestly though, I think anything with Spellbreaker, Carny T, Ghalta and Rhythm of the Wild will get there It's just so good against a lot of the meta. I run 4 lava coils in the main deck. "To keep things 100, anything I state is an opinion and not intended to be a fact. Any and all suggestions I give are a 100% opinion. If you need further clarification take the conversation to a PM. I am not in the business of assuming things. I'm only interested in 1 business and that business serves 2 things, Cold L's and Hot Dub's." I personally like his build better than others. I would make minor adjustment, minus Skarrgan Hellkite for Steel Leaf Champion to go big early, and Lava Coil for a split of Regisaur Alpha and Ghalta, Primal Hunger. 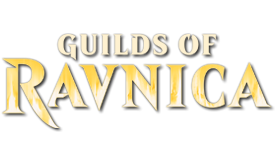 Kraul Harpooner answers most Lava Coil's target (Drakes, Phoenix, Djinn) or simply overpower the opponent, and also at times a nonbo with Nullhide Ferox. Growth-Chamber Guardian with Regisaur Alpha and Rhythm of the Wild in play is pretty insane too. I'm a bit concern on the mana requirement. I would want to avoid using tapped lands but Steel Leaf Champion and Rekindling Phoenix mana base might be a problem. I could replace the Phoenix with Vine Mare and Carnage Tyrant to go on hexproof route, but Phoenix and Rhythm of the Wild is just too good. I've been playing on Arena. Lots of aggro decks in Bo1. I like Shivan Fire two fold right now. -- it scales down to small ball in the early turns letting your turn 3 be impactful as RDW can kill on turn 3 in this format. I've cut Carnage Tyrant already. Rekindling Phoenix is good against the Esper and UW decks who are leaning on Cleansing Nova and Kaya's Wrath. I like Thrashing Brontodon but if the format slows down I like Vivien Reid there. Rhythmn is trash against aggro. Probably going to be great against a field of UW, Esper, and Jeskai. I think you have to pick your battles with that card. People have been raving -- it is very good I'll admit -- but it's so low impact vs. aggro. 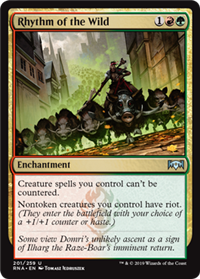 At least Domri gets you out of a mana bottleneck and can draw you more cheap threats. Your best card against aggro? Gruul Spellbreaker -- in the same way that Loxodon Smiter was good against RDW. People are sleeping on Skarrgan Hellkite IMO. Closes the door against aggro very well and also good against control decks. If Champ was a warrior, it would be great with Territory. As is, I think you have to choose one or the other (e.g. Spellbreaker). The mana tension is real. Hellkite has yet to prove it's worth 4 slots, but it's promising on paper. The few reps I had with it were convincing. It's often the final nail in the coffin because it has flying. I think it has better chances in a meta full of grounders than Regisaur. I'm really surprised to see Collector disappear, it seems important to have 8 one-drops, right ? It isn't in Standard though. Has anyone tested Demanding Dragon in the 5-cmc slot ? It dodges Lava Coil and the punisher ability is actually pretty good most of the time. 4 slots is a lot. I'm inclined to 2-3 -- the format wants to stay fairly lean at this point. Maybe the format will slow to the point at which 5 drops are more relevant, in which case the activated ability on Skarrgan Hellkite becomes less useful with fewer 1-2cmc creatures flying around. So you can see the tension, right? We'll see how the format settles. If tokens picks up then Hellkite's value skyrockets. I like Pelt Collector as well. It helps end the game fairly quickly. Given how good the control and ramp decks are, I don't really want to wait around to get them dead. At least in my build if I wanted to run SLC one could still call elf with territory and still play: Llanowar, thorn lieutenant and the Elf crab. I never was really sold on pelt collector, I started using Druid of the Cowl as a better block on T2&3 against aggro and to get Nullhide ferox and Vivien reid out faster. I'm not sure I would call Rhythm trash against aggro, usually I put my creatures on a +1/+1 counter rather than haste just to keep them out of burn range. I'm not completely trying to argue with you though, 9 times out of 10 I'd prefer it to be a threat than a setup. Yea rhythm ends up being not so great against aggro. It's also not the best topdeck. Anyone thinking about splashing white for any of the angels? Lethal your control opponent with an 8/2 hastey Kraul Harpooner. This deck has it's weak points but boy. 1. Losing the diceroll to RDW. there are a lot of 5-0 lists pushing gruul. cindervines Seems like a solid card out of the sideboard. So far the deck did not disappoint me against control decks like Esper, Bant Nexus, Jeskai. A turn 2 Rhythm of the Wild is almost like a sure win. A turn 3 Rhythm also not so bad. 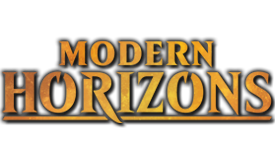 Those decks most likely to play Search for Azcanta or Wilderness Reclamation, hence our window to play Rhythm of the Wild. Bant Nexus may be a problem sometimes. A turn 3 Wilderness Reclamation then turn 4 Nexus of Fate shenanigans really troublesome. Phoenix and Rhythm is super awesome in this match up. Kraul Harpooner and Ghalta is also another combo. Against aggro-er decks like Mono Red, Rakdos is usually if I lose, I was slower one turn and/or one land. Of course in this match up, burn spells slow them down killing their attackers and Gruul Spellbreaker is a 2-card burn magnet. 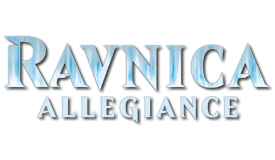 Merfolk Branchwalker and Jadelight Ranger also blocks and as burn magnet. As they get burned, you lose life a bit slower. Against Golgari, I don't feel any problem. Gruul power level simply overpower theirs. SIDEBOARD!!! My main is almost complete so I have to figure out the SB. Deathgorge scavenger - Golgari type decks so no recursion, red aggro to gain life? would be good against PHX decks. Cindervines or Thrashing Brontodon - kill Wilderness reclamation, opposing Rhythm, Hadana's climb, etc.? if so, which is better? Carnage tyrant - still needed? not sure about carnyT because of no domri and the fact that you already have ghalta.